Having the proper information for your Horse health and Nutrition strategy is VITAL to your horse’s health and well being. 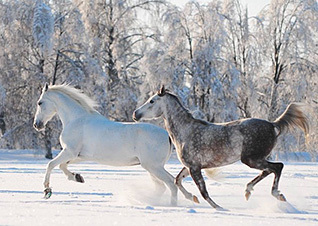 Horses are fragile animals despite their large size. We hope the information presented here is helpful and remember ALWAYS consult with your Veterinarian before you make a change to your current horse health program. Medical gel technology is advancing treatment of white line disease, seedy toe, thrush, candida yeast, aerobic and anaerobic bacteria, mold and fungi and the repair of cell damaged hooves. 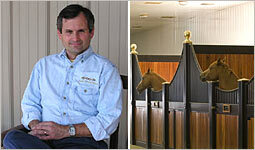 So, you're thinking about making the decision to transition your horse from shoes to barefoot? This decision doesn't have to be a difficult one. 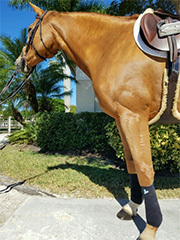 But, it can be a tough decision for many so let's explore a bit about why you want to have your horse barefoot and what the process might entail! Let's take a look to see how you can best aid the transition. Icing damaged tissue does sometimes give temporary pain relief. However, it also delays healing... learn more. Ulcers are serious -- leading to poor appetite, dullness, attitude changes, decreased performance, poor body condition, rough hair coat, poor hoof growth, weight loss and colic. 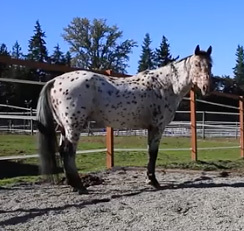 What Is Causing My Horse To Be Lame? The benefits that have come from thermal cameras are outstanding. All horses need the proper balance of vitamins and minerals, but for breeding stock, nutrition is a critical component to producing strong and healthy foals. 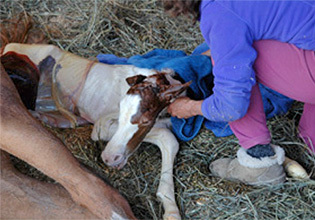 Welcome to the World – Gentle Horse Birthing and Non-Invasive Imprinting. De-sensitization and imprinting are found in every trainer’s tool box. The key to management is early detection, but therein lies the challenge. Protect Your Back! 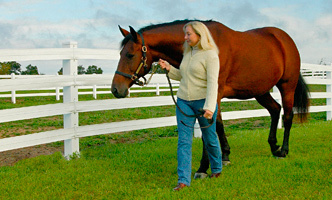 Injury Prevention for Horse Owners. Know your physical limits and use the right tools to get the job done. Heat stress within a horse can result in a wide variety of outcomes, from poor performance to death. The rapid progression from the first stage of dehydration to the final stages of extreme heat stroke can take owners by surprise. 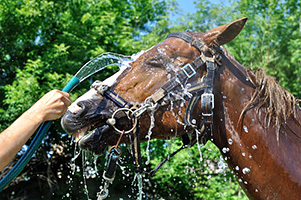 Learning to recognize the signs of heat stress is the first step to protecting your equine partner. For our horses’ sake, keep the stalls clean, keep the floors cleared of feces, keep them clear of mud, keep that pick and wire brush close at hand and use them daily. Catch it early! As soon as the mercury falls, many of us ask the age-old question; to blanket or not to blanket? Ahhh… .if Shakespeare had been a horseman he’d have known the right questions to ask. 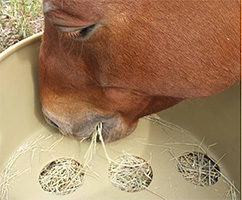 Article from Omega Fields®, Inc.
Did you ever wonder why your horse’s digestive system seems so fragile? Does it Seem That Horses Were Designed to Experience Colic Learn Why Your Horse May Develop Digestion Difficulties? 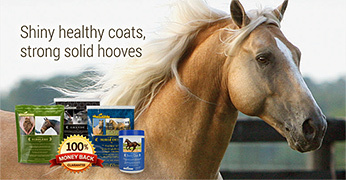 Learn all about the horse digestives system to better care for your horse! 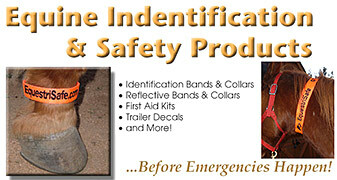 Most accidents on the horse farm can be avoided by making safety your number one priority! 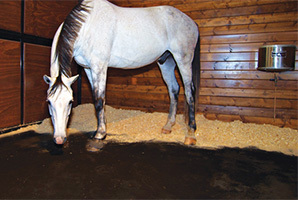 Your choice of stall bedding will have an impact on the health and performance of your horse. 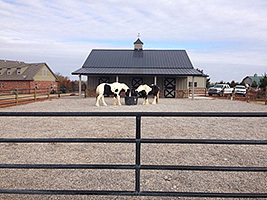 Success horse health begins in your barn… Start with your horse bedding. It’s more than a luxury. 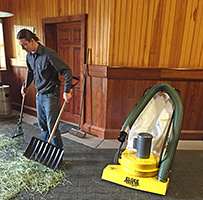 In some barns, the wash stall is used as a place to hose off muddy fetlocks, deliver heat or light therapy, administer to wounds, and---of course, wash horses. 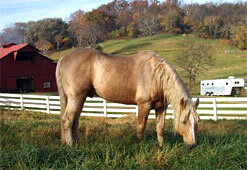 Remember, horses do not eat to be full but only enough to not be hungry, thus the term trickle feeder. I knew… that hated killer, Colic, was paying us a visit today. My mind began to whirl, This can’t be happening! 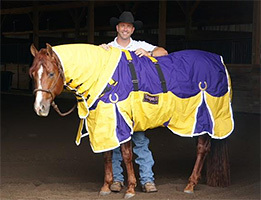 Horse blankets were designed to protect your horse from cold, inclement weather, insects, and potentially damaging ultraviolet rays. 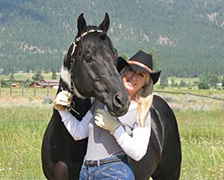 Article from Geri Capobianco for Temperall Inc.
Equine dentistry is a field that’s under constant discussion – how to perform equine dentistry and how conservative or aggressive to be when doing it. Article from Allison Kuhl for Omega Fields®, Inc.
Safety experts know that accident prevention relies on three key building blocks; maintaining an awareness of potential danger, controlling the physical environment, and practicing good personal or work habits. The more freedom of movement your horse enjoys, the more efficient the following four systems work for him. I load up as many bales of hay as I can before leaving home. However, after a couple weeks I'm running low and need to find a new source of feed and I'm thousands of miles away from my original hay source. With that in mind, I've done some research and have made a decision to share this information with you. 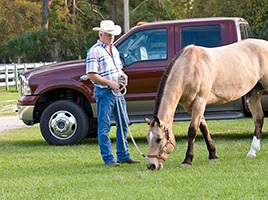 When the need arises to haul our horses to shows, clinics, vet offices or distant trails, it is our job to ensure that they stay as healthy and stress-free as possible. 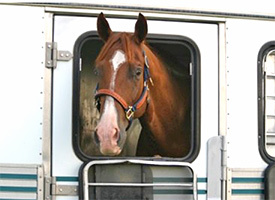 A combination of proper management and the right nutritional support can ensure your horses’ travels are stress-free! Cleaning assists our horse's immune systems by decontaminating and removing the pathogens that have accumulated! 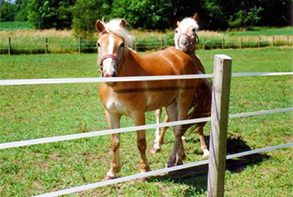 The better you understand domestic herd dynamics the easier it will be to keep your horses safe! May I ride your horse? 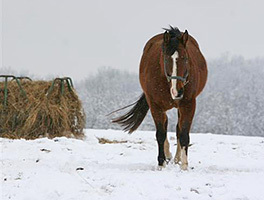 and Here are five tips to make sure your feed room and hayloft are ready for winter. Article from Kentucky Performance Products LLC. Slow feeding…. 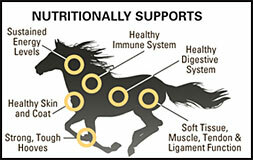 What it Means for the Health of Your Horse. today’s modern horse keeping practices have unfortunately forced horses into sedentary lifestyles where free ranging and getting plenty of exercise foraging for foodstuffs has essentially become a thing of the past. It’s not a matter of if; it's a matter of when an emergency situation will happen to you! 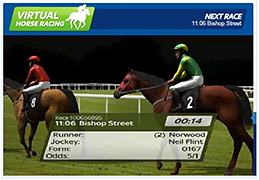 Virtual Horse Racing – Can it end the ethical dilemma? Those who are against the horse racing industry would certainly much prefer people owning, training and racing a virtual horse to real ones. Now Germs Have No Place To Hide! A team of hoof researchers and leading farriers have developed new strategies that are helping win the fight against hoof disease! Anyone who's developed arthritis can tell you that it's a terrible affliction; not only are their joints disintegrating, but they hurt like the dickens while doing so. Fortunately, we can make our horse's life immensely easier. Article from Omega Fields, Nutrition for a Healthy Life! 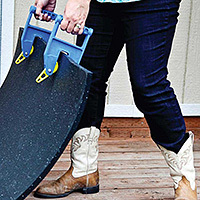 Simple Flushing Tool Effective Against Hoof Disease! According to hoof researchers, the most important step in fighting hoof disease is cleaning the feet and removing diseased tissue. 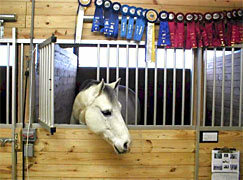 The definition is simple, but choosing the best materials for your stalls requires planning and research! 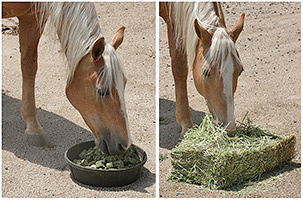 What you feed your horse directly affects your horse’s growth, performance, and lifespan. If you are a horse owner or trainer you can use helpful, credible information regarding the fundamental basics of nutrition for horses. 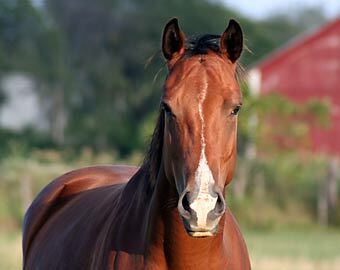 We evaluate a horse from a number of standpoints – breed, personality, conformation, age, training, among others – and we should include intelligence in the list. 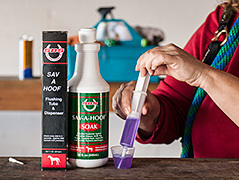 New Hoof Conditioners provide Total Hoof Care that even Grandpa would approve! 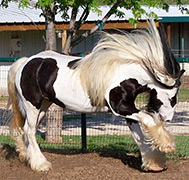 SayWhoa by Stops Colic Testimonial, from Linda Brown , A Wizards Spell Gypsy Horse Ranch in Burleson, Texas. 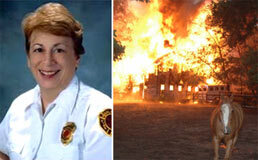 Does your fire department know anything about your property besides its address? Would they know what to expect and what their priorities should be? 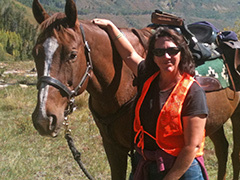 We all know that horseback riding can be a dangerous recreation. This is how do to minimize the risks! The True Meaning of the Phrase "Healthy as a Horse"
Every horse owner wants a healthy, happy horse. 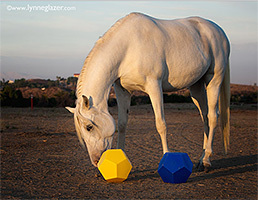 Magnetic Therapy for Horses, Increasing the Performance of Sporthorses! What therapy modalities can effectively support your horse’s performance in the show ring and help when your horse is laid up? So what exactly is equine sports massage therapy? To help us better understand what this means, we turn to certified equine sports massage therapist, Gwen Bernardo, to shed some light on equine massage. Biologically, yes, of course.And yet if either were to find itself in the other’s domain, we’d truly have a stranger in a strange land. Feeding Horses, Are We Doing What's Right the Horse? 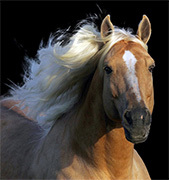 As a professional bodywork therapist for over 30 years and practicing in the equine field solely for the last 15 years I have learned some amazing information and put it together in a format that is easy to understand and just makes sense. 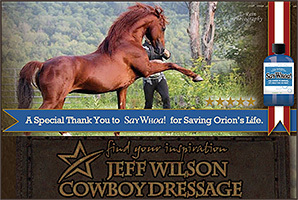 Finally there is hope for horse owners and help for their horses. How to Treat Thrush in Horses! 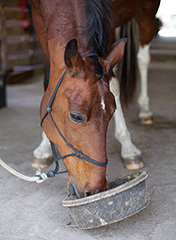 Laminitis, commonly called ‘founder’ is one of the worst diagnoses a horse owner can receive. 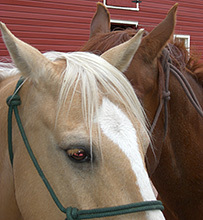 Equine Sarcoids - One of the most mis-managed problem for horses and their owners. 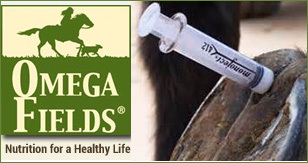 Equine Energy Requirements By Dr. Kristina Hiney, PhD – Omega Fields® Equine Nutrition Advisor - Determining equine energy requirements for a horse is not only a function of the weight of the horse, but also their body condition and function as an athlete. Soaking the hoof can be an effective way of treating against chronic infections, but there can be serious consequences if done carelessly. 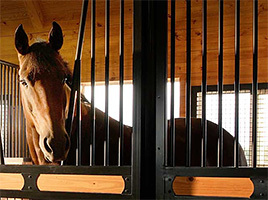 Horse Sleeping Habits, Horse Stall Comfort There is so much resting on your stall floor decision! 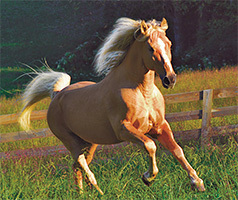 Underrun heels are a common problem in today’s performance horses. 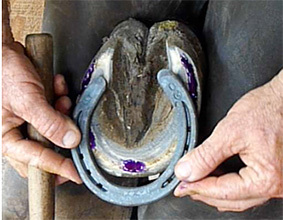 Underrun heels are defined as heels where the angle of the hoof heels is less than that of the hoof toe when viewed from the side. You can lead a horse to the salt block but you can’t make him lick. This statement is as true as the old maxim concerning making a horse drink water. 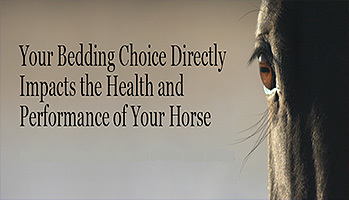 When choosing a product, make sure you find the one that is specifically going to be a beneficial to your horse or pet. 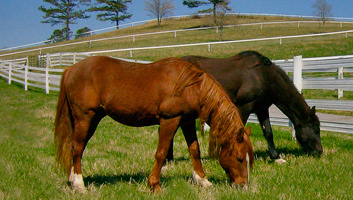 EPM, Equine Protozoa Myeloencephalitis; Any horse that eats hay, grain, or grazes in a pasture is susceptible to getting EPM. Stalls are the most basic component of every stable, who’s primary function is to provide a safe and healthy environment for our horses. 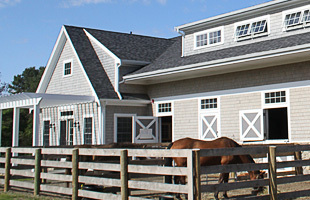 By Thomas L. Croce Architects Inc.
Equine Gastric Ulcers: A Real Problem with a Natural Solution Gastric ulcers and are a major health concern for horses. 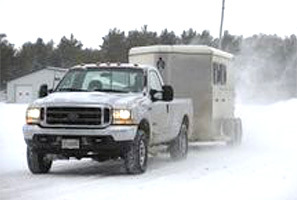 Horse Evacuation,Emergency Plan: Time to Go! Fires, floods, disasters happen. The Soaking Boot Veterinarian-approved alternative to treating the #1 cause of lameness. 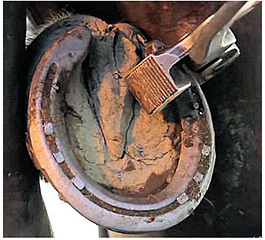 The Long Heels Myth from Vettec Hoof Care Products understand the hoof for correction.